Must I Pay Customs Duty on Alcoholic Beverages From Duty Free Shops? Perhaps. First, let's take a look at what "duty free shop" really means. You can find duty free shops in airports, on cruise ships and near international borders. 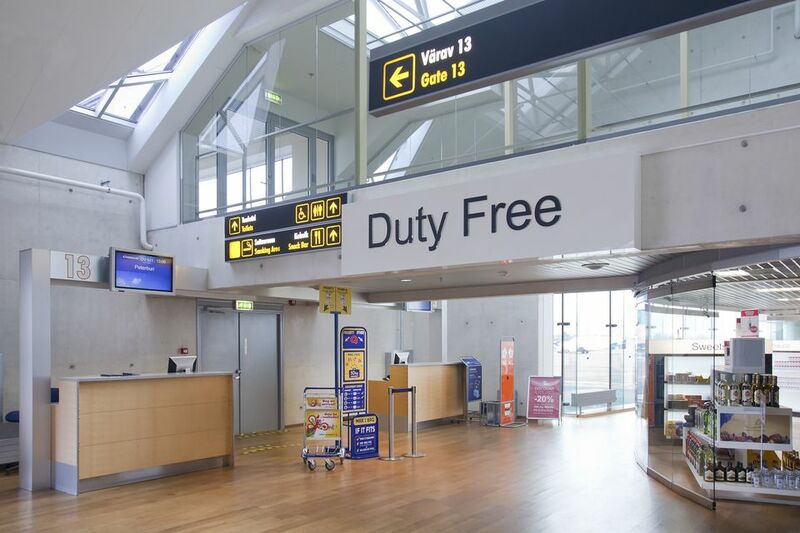 Items you purchase in duty free shops have been priced to exclude customs duty and taxes in that particular country because you are buying those items and taking them home with you. You still have to pay customs duty and taxes in your country of residence. For example, a US resident who buys two liters of alcohol in a duty free shop at London's Heathrow Airport will pay less than the United Kingdom market price for those items because the Value Added Tax (VAT) and any applicable UK customs duty (on imported wine, for example) will not be included in the sales price. The duty free shop will package that US resident's purchase in a way that prevents the US resident buyer from consuming the alcohol while still in the airport. As you return to your home country, you will fill out a customs form, itemizing (or "declaring") all the goods you acquired or altered while you were on your journey. As part of this declaration process, you must state the value of these goods. If the value of all the items you declare exceeds your personal exemption, you will have to pay customs duty and taxes on the excess. For example, if you are a US citizen and you bring $2,000 worth of items into the United States from Europe, you will have to pay customs duty and taxes on at least $1,200 because your personal exemption from customs duty and taxes is only $800. Alcoholic beverages are a special case. In the United States, customs regulations state that adults over age 21 may bring one liter (33.8 ounces) of alcoholic beverages into the US duty free, regardless of where it was purchased. You may bring more if you wish, but you will have to pay customs duty and federal exise taxes on the value of all the alcohol you bring home except for that first one liter bottle. If your port of entry is in a state that has more restrictive import rules, those rules take precedence, and you may have to pay additional state taxes. If you are traveling with your family, you can combine your exemptions. This process can work in your favor because each person gets the $800 exemption mentioned above. Canadian citizens and residents over age 19 (18 in Alberta, Manitoba and Quebec) may bring up to 1.5 liters of wine, 8.5 liters of beer or ale, OR 1.14 liters of alcoholic beverages into Canada duty free. Provincial and territorial restrictions take precedence, so you should check the regulations that apply to your particular port of entry. Exemptions on customs duty vary based on how long you were out of the country. Unlike in the US, Canadian family members traveling together cannot combine exemptions. You will have to pay customs duty and provincial sales tax or harmonized sales tax on any alcoholic beverages you bring back in excess of your duty free allowance. Provinces set their own limits on duty free importation, so it is always best to check with your provincial government before your trip begins. British travelers age 17 or over entering the UK from a non-European Union (EU) country may bring one liter of spirits (over 22% alcohol by volume) or two liters of fortified or sparkling wine (less than 22% alcohol by volume) with them. You may also split these allowances and bring in half the allowed amount of each. Your duty free allowance from non-EU countries also includes four liters of still wine and 16 liters of beer, in addition to the allowances stated above. If you bring alcoholic beverages in excess of these amounts, you may have to pay UK excise duty. As in Canada, you may not combine your duty free exemptions with family members. Check your country's alcoholic beverage importation policy before you leave home. Write down local prices for liquors you think you would like to bring home with you and carry that list when you visit duty free shops. This way, you will be able to tell if the discounts available at duty free shops are deep enough to save you money even if you have to pay customs duty and exise taxes when you return home. US Customs and Border Patrol. Know Before You Go. Canada Border Services Agency. I Declare. HM Revenue & Customs (UK). Tax and duty on goods brought to the UK from outside the European Union. Should You Pack Your Souvenirs or Ship Them Home?